4 sure of being in the U.S. for months to come. After that I'm fairly sure to be available. 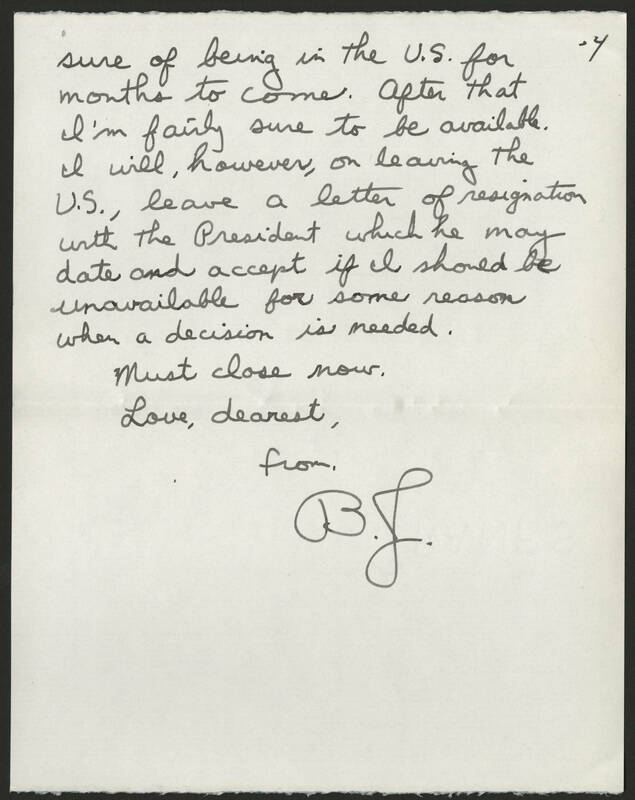 I will, however, on leaving the U.S., leave a letter of resignation with the President which he may date and accept if I should be unavailable for some reason when a decision is needed. Must close now. Love, dearest, from, B.J.